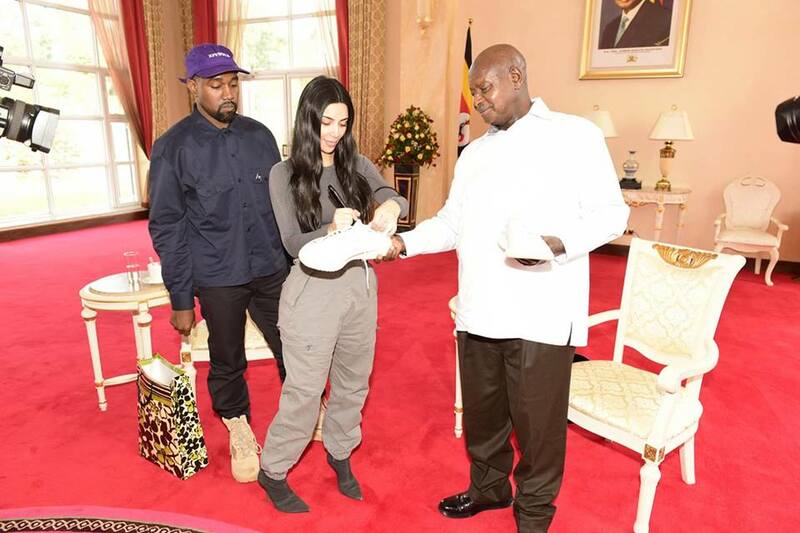 American rapper, Kanye West and his wife, Kim Kardashian have been hosted by President Yoweri Museveni in Uganda. 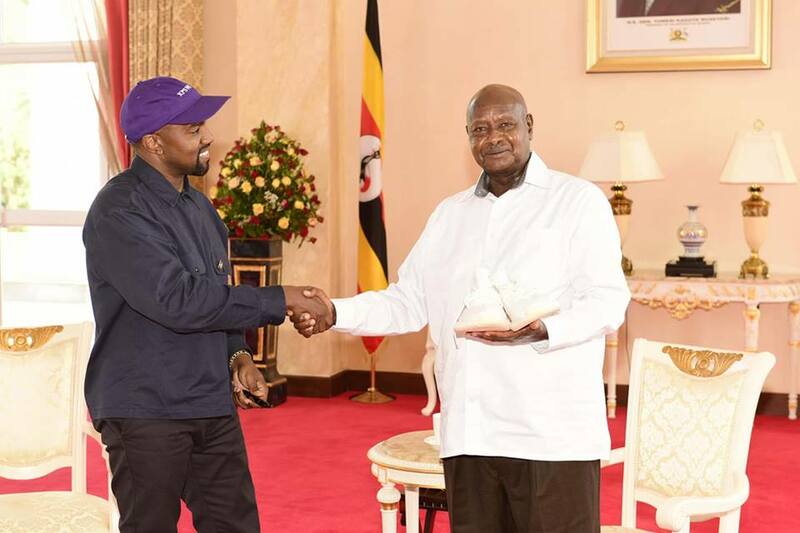 Kanye West, a popular American music star, has met with Ugandan President Yoweri Museveni at State House. 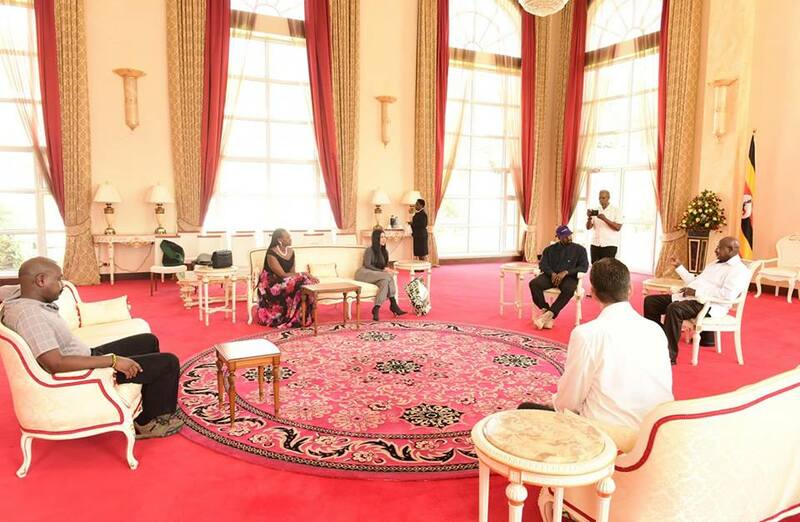 The rapper and his wife Kim Kardashian-West paid a courtesy visit to the president after arriving the country some days ago. The president who owns a large livestock farm reportedly donated 10 cows and a copy of his book ‘Sowing the Mustard Seed’ to the couple. Kanye West also donated a pair of Yeezy boots sneakers to the President. The president cracked a joke with the singer as he was quoted telling him, “I am also a rapper. If you want help on your album, I am always here to help”. 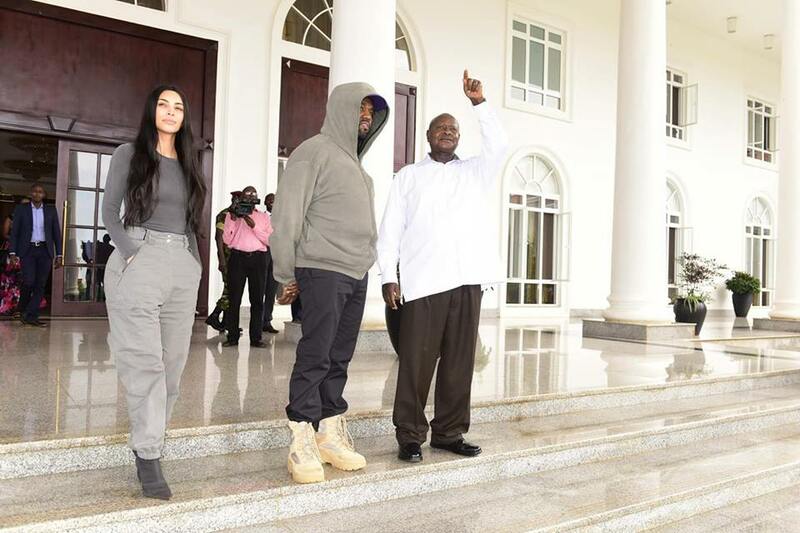 Reality TV celebrity Kim Kardashian and her husband rapper Kanye West are in Uganda on a working holiday. The couple arrived in Entebbe on Friday and were flown by Helicopter to Murchison Falls National Park to the north west of the country where they are staying at the Chobe Lodge. The visit is considered important for Uganda’s tourism sector which has recently suffered from political turbulence.